There are plenty of normal democrats. That’s who we need. Not their base. I question this. I moved to NV, knowing that the state Republican party was useless but thinking the local Democrats who are largely union and Hispanic would not go crazy about gun control. I was wrong. Said unionists and Hispanics seem perfectly comfortable taking their marching orders from leftist hipsters. So now here’s the question: how do we get the normal ones to kick the whacko anti gun ones out of leadership instead of just taking orders from them? As long as PPL keep coming to PA to escape the rules and taxation of NY and NJ…and then vote for Democratic socialists we’re in trouble. They vote for the exact thing the moved to escape. There are few Blue Dog Dems out there. The pro gun Blue Dogs built PA..at least here in the North east.. . As long as they campaign as pro gun , pro life , and then vote 2nd Amend but…. were in trouble Fudds have to get thier heads out of granpas 30-30… and realize ANY gun control is a no go. Im very tired of the ppl who are pissed at the NRA. for giving in on some things…seems after incidents like Vegas The NRA gave the sacrificial lamb of bump stocks i believe as the least of all evils that could have happened. The NRA is still the most effective pro 2nd Amend lobbying group out there. Well said about the situation in PA. The New Jersey and New York Trash have handed your PA State Supreme Court over to those good ‘ole Democrats that they can’t help but vote for out of pre-programmed political impulse. You guys in PA can now say goodbye to your State Preemption Laws in one fell-swoop of Michael Bloomberg’s Lackeys on that PA State Supreme Court writing them out of existence in extra-judicial fashion. The NRA needs to get the message out that the Second Amendment applies to people who live in cities. In fact, it has extremely practical day to day meaning and its restoration would greatly improve their lives. Otherwise, it will always be somebody else’s problem, and an easy wedge issue. So, the NRA membership today is exactly where it was a year ago, after the Parkland shooting. I agree that the NRA needs more members and needs to be more inclusive. I doubt that will happen with the current leadership, PR strategy and legal/legislative strategy. “The Clenched Fist of Truth” isn’t attracting anyone new, neither is Oliver North. Support for gun control is pushing away current members. Yeah, I’m 100% agreed with you that the Angry Dana videos are basically just preaching to the converted at this point. The NRA needs to move on from AckMac. And why is an elderly criminal gun controller (North) head of the NRA? New members would be great.. Dana Loesh is a great spokesperson… we need the moms, the problem is finding an honest media. You can give them facts figures and hard evidence and it gets twisted , turned or buried. As long as the gungrabbers…from both parties have the ear of the media its a major problem any event involving a criminal use of a firearm is front and center 24/7…..defensive use might get a blurb…maybe if your lucky . Want to increase gun rights and gun ownership ? Get the NRA programs in schools Like Eddie Eagle Anyone have young children? Go to school board meeting and push Eddie Eagle Any one have kids in middle and high schools? Push to have your gun club sponsor trap teams and rifle teams . That is how you get gun rights important to Democrats These kids are all programmed to be Democrats by their schools and teachers. What NRA needs is more Democrats as members. That ain’t happening anytime soon. A decade ago they made a poor strategic decision. Tough to put that toothpaste back in the tube. Wrong. It was Democrats themselves who made the wrong moves by rubberstamping Obamacare, and besides, if Democrats retained control of the House and Senate in 2010, and had history still played out with Gabby Giffords being shot, Obama would’ve gotten his “Australia-Style” Gun Laws imposed by spring of 2011. The Obamacare Vote was the official signal that the “Blue-Dogs” were gonna rubber stamp anything Obama wanted, including gun bans. Naw, it started before that. 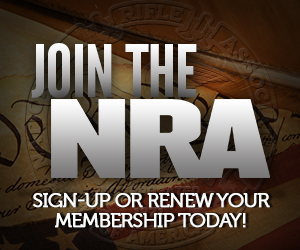 The NRA is first and foremost about $ from members. They saw a huge market among Tea Party, and started to court them relentlessly with “Obama gonna take your guns.” Smart in the short term, I guess, but that meant that they had to turn their backs on Dems whom they had long supported, like Harry Reid. They could not support ANY Dems and keep tea party support. It’s also why they ended up giving golf rifles to Sarah Palin, who has done zilch to forward gun rights, other than being governor of a very pro gun state. Go back even further to none other than an infamous year with regards to gun-control; 1994 with the 1994 Federal Assault Weapons Ban. The NRA found itself burned by “A-Rated” “Pro-Gun” Democrats who signed onto that bill for Bill Clinton to sign into law. If just 20 of the 55 “A-Rated” House Democrats bucked Clinton and their Democrat Colleagues in the House of Representatives at the time, than the 1994 Federal Assault Weapons Ban would’ve died in the House by 8 votes. Democrats may have held onto the House (They were losing the U.S. Senate no matter what though), and pro-gun Dems would’ve still existed. Basically the NRA chose a weird path of right wing intersectionality over the single issue mandate the organization was built on. They will suffer the same issues the far left has with this approach–ultimately alienating those who would otherwise support your issue. It’s kind of moot, IMHO. While the NRA historically can run some defense, the SAF has done more to advance gun rights than they have in the past decade. I am not as sanguine about SAF, but I agree and lament the recent path the NRA has taken. Ditto that. 45+ year LM and the last time I was happy with them was when they ran the “jack booted thug” ad. I agree… the NRA needs to be 100% guns. I’m very conservative, but the NRA should shut about about every other issue. Winning elections doesn’t convince them either – because they always just think “the NRA works by buying off politicians”. As we become more polarized the idea that Democrats will support gun rights is foolhardy Democrats in safe blue states are not gun friendly and they have no fear that their anti gun attitudes will annoy voters in their districts. So the solid blue states like NY NJ Conn RI MD CA the candidates will suffer no ill consequences for being anti gun. States that are purple VA,CO, WA Ore which were gun friendly and becoming gun unfriendly are the ones we need to focus There the candidate are more vulnerable. The NRA is only as strong as the members are in their activism. Yes, NRA needs more Democrat members especially in states that have solid D majorities. I’ve brought this up many times before that NRA needs to be involved in D party politics. I agree they should sponsor it just for the troll value alone.